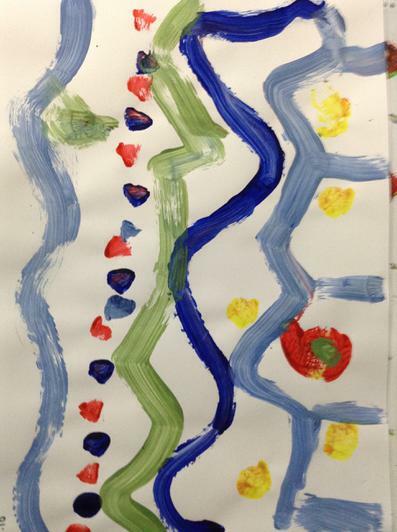 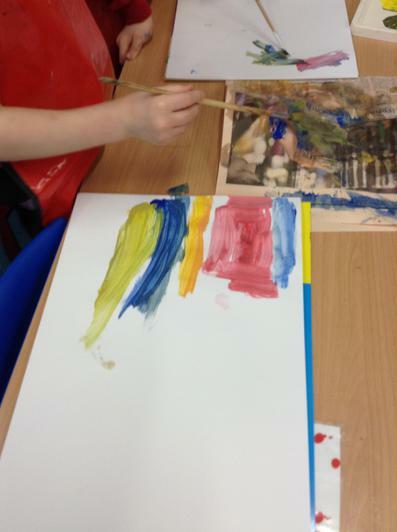 This week in art, we continued to look at warm and cold colours. 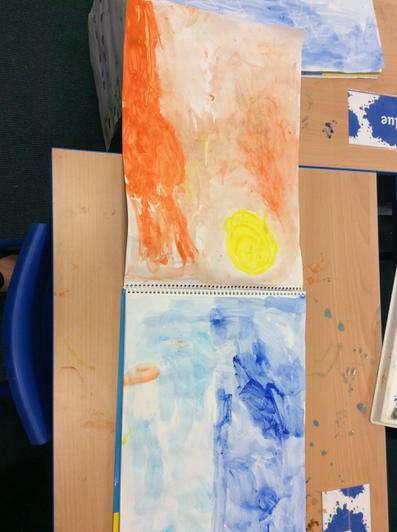 We thought about what weather types might be cold or warm, linking our learning in art to our enquiry topic. 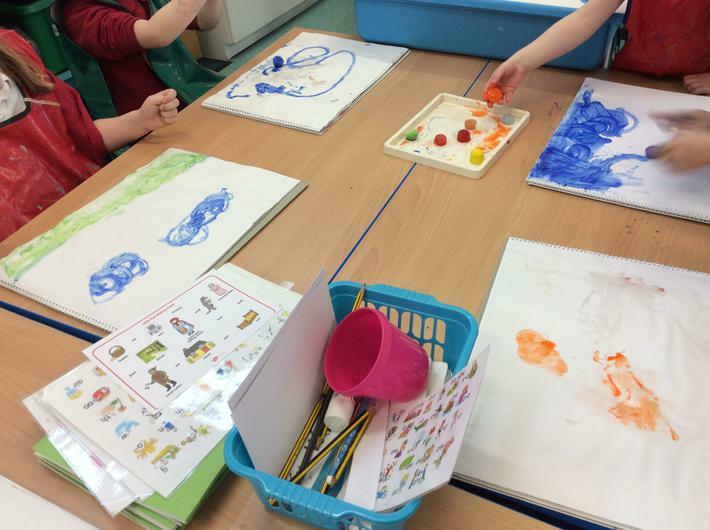 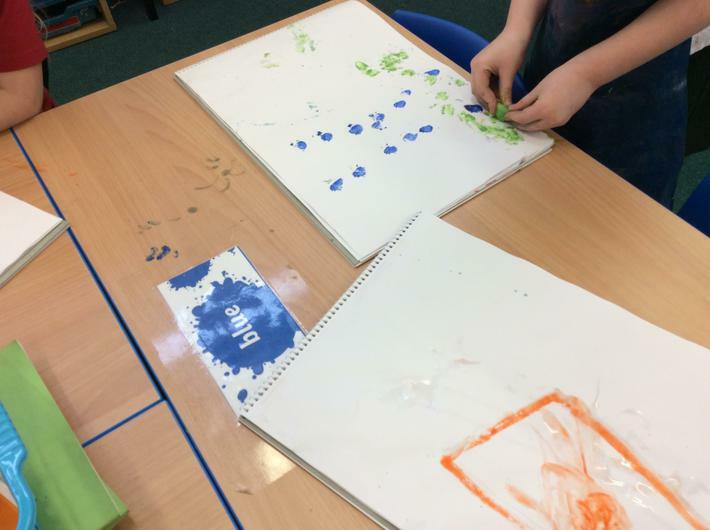 Then the children explored using ice paints, to make a warm or cold weather picture. 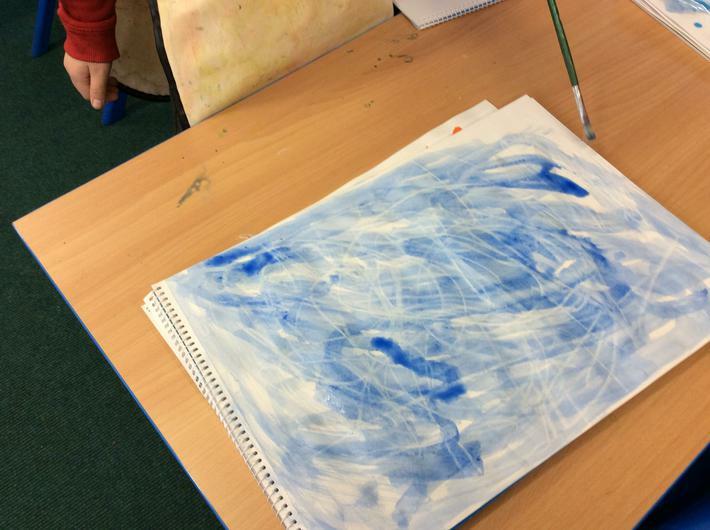 As the ice paints melted so quickly, we had a chance to also create a piece of art, linking to the story 'Here comes Jack frost'. 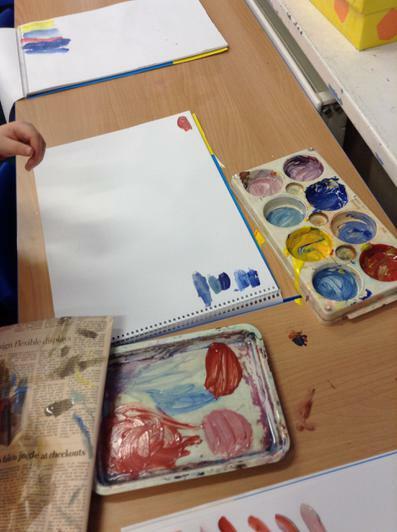 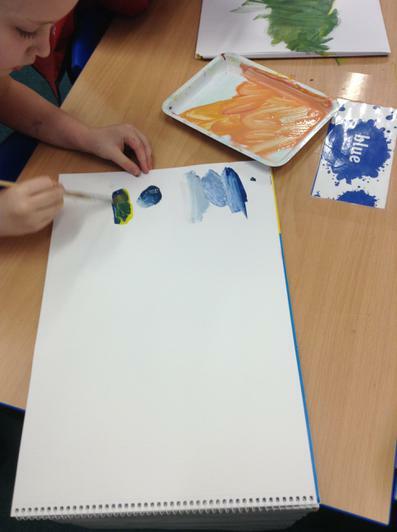 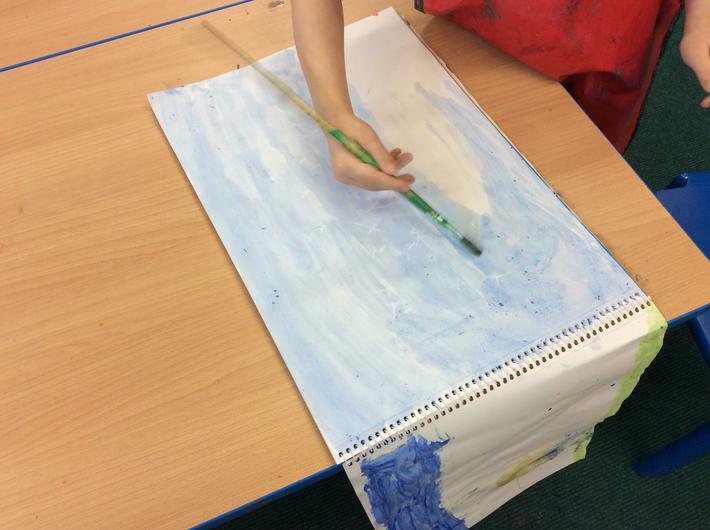 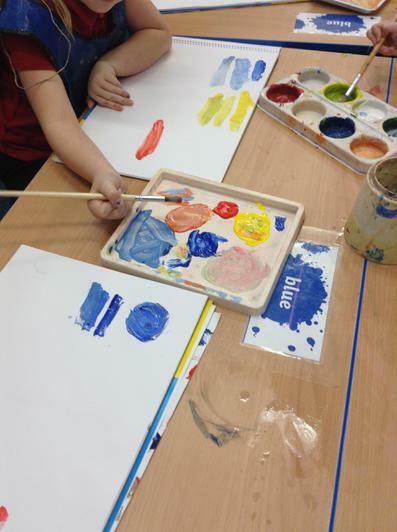 The children realised that frost is cold so they would need to use colours such as blue, grey or white. 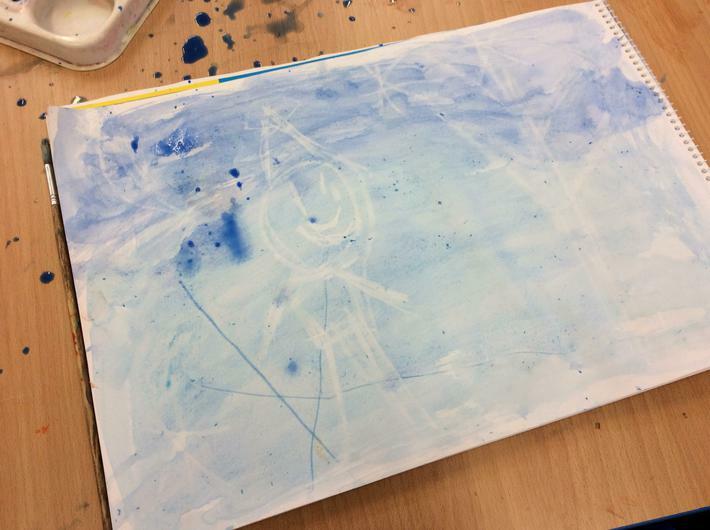 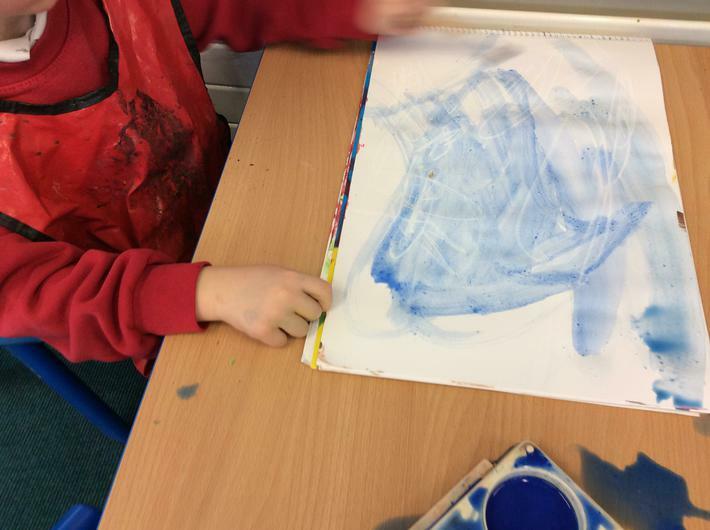 The children drew their own versions of Jack frost in white crayon and used watercolours to brush over the top. 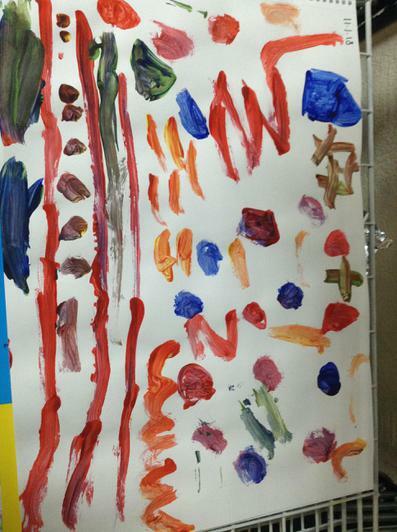 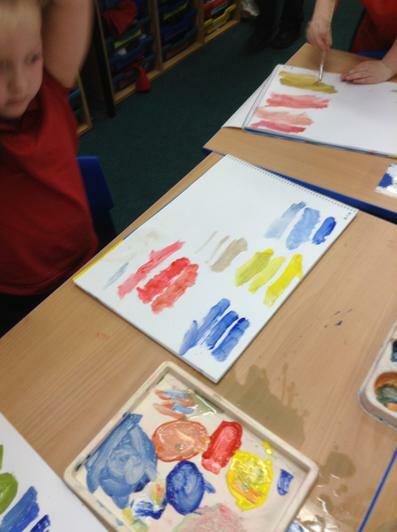 They were amazed that the crayon resisted the paint and they could still see their design! 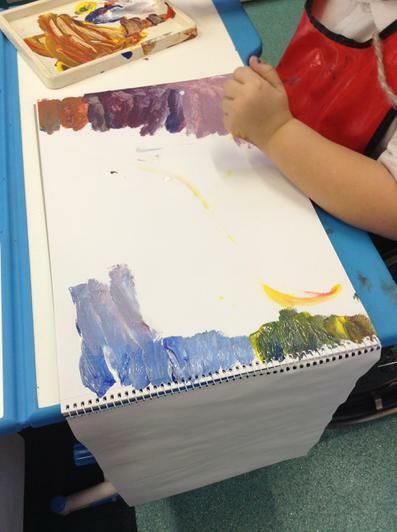 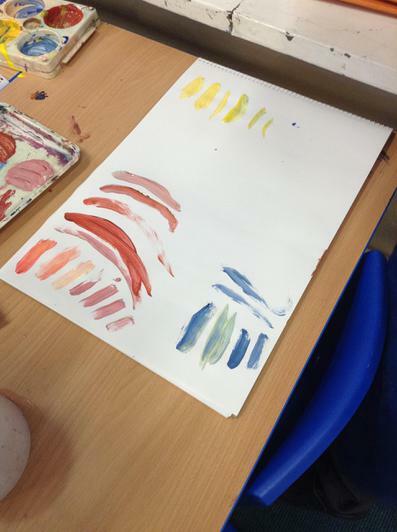 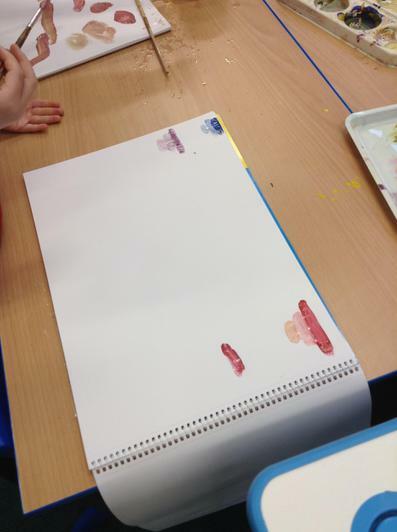 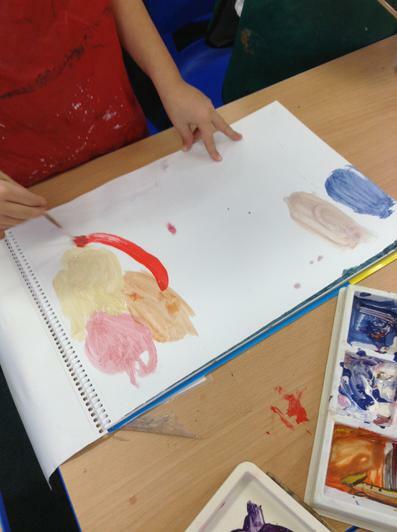 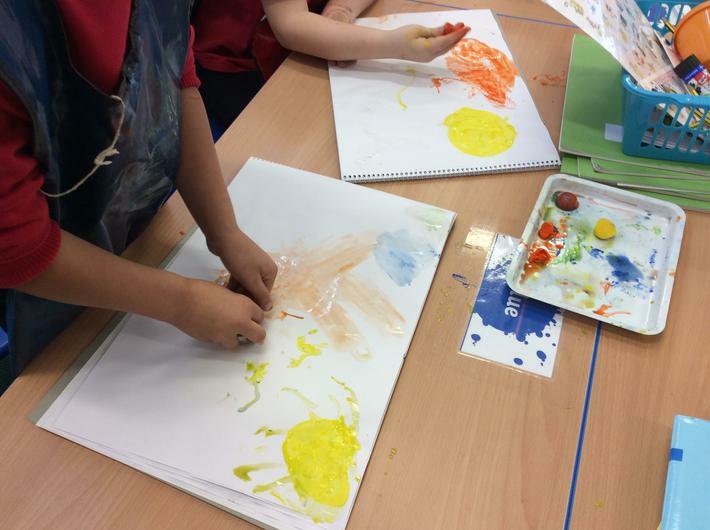 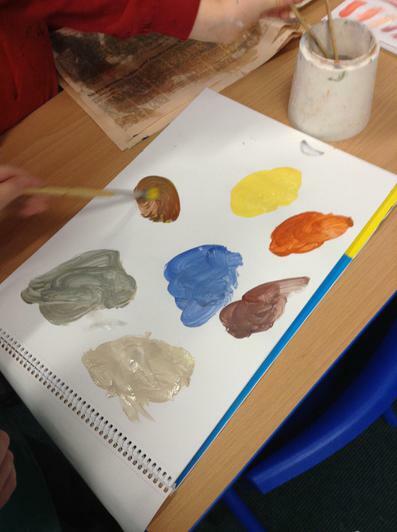 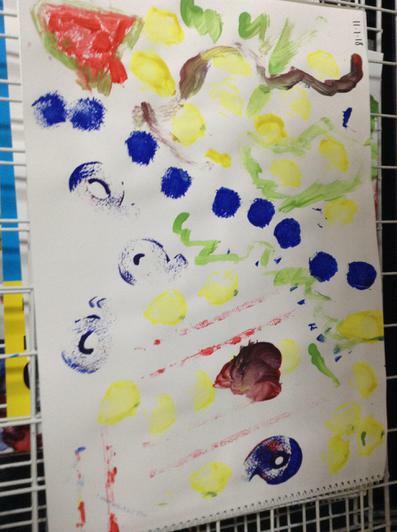 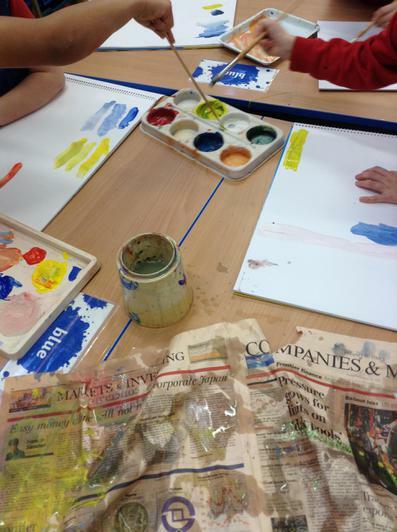 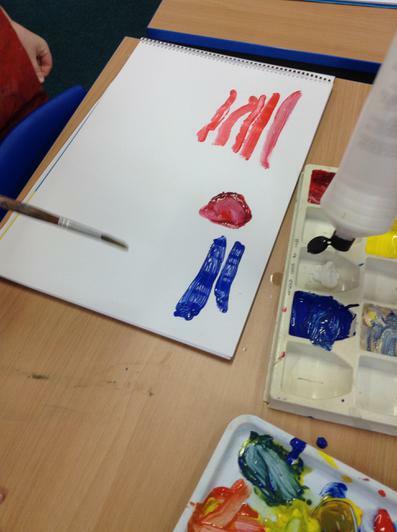 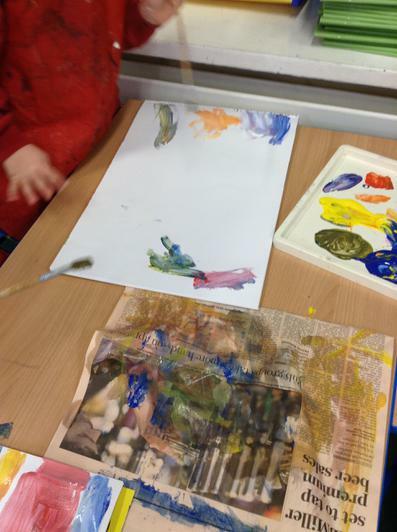 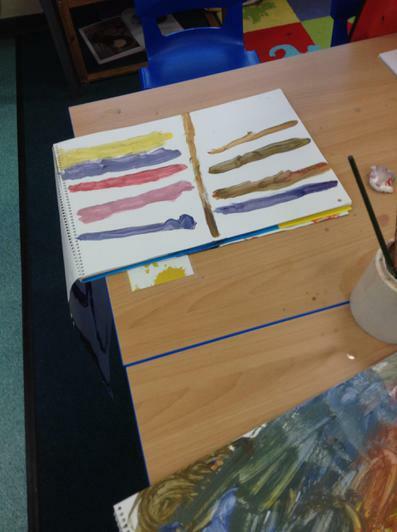 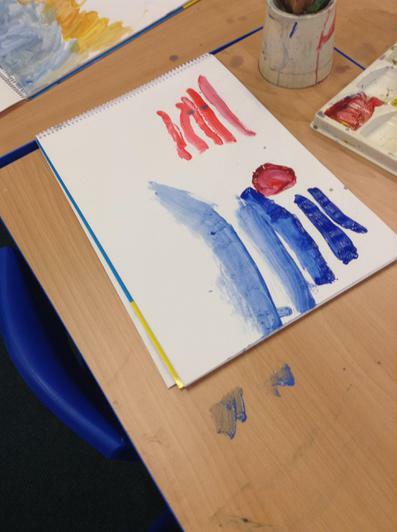 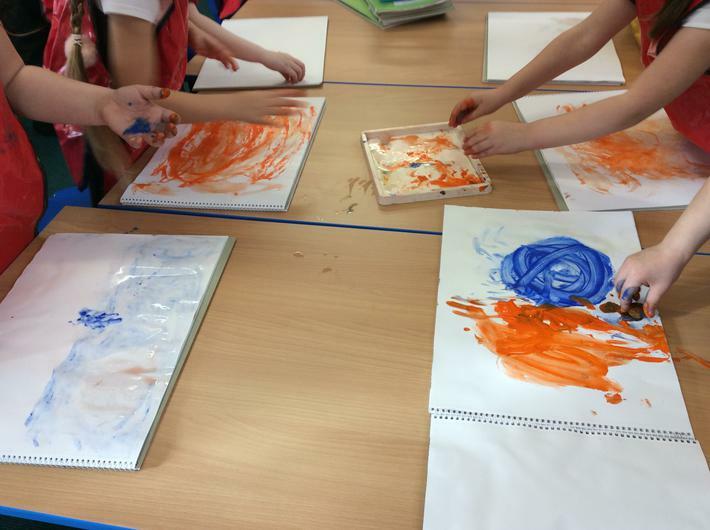 This week we learnt about colour mixing in art. 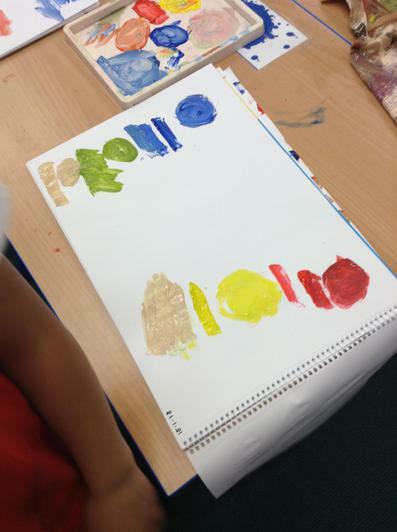 We discussed primary colours and how we can use these to make the secondary colours, by mixing them together. 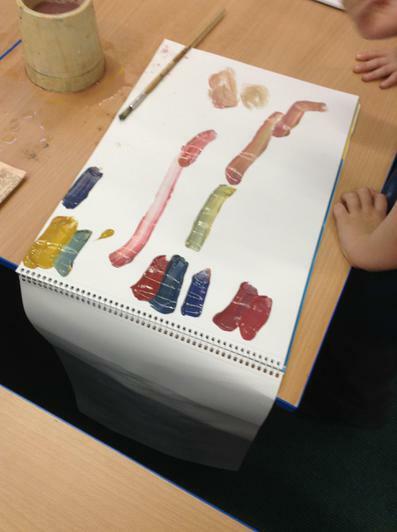 The children then explored how many more colours they could make when they mixed these colours together. 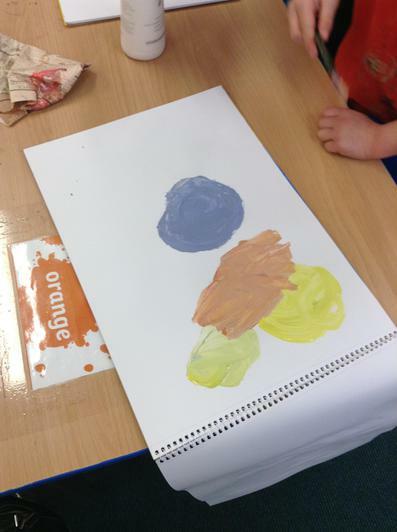 Can you remember which primary colours can be mixed to make orange, purple and green? 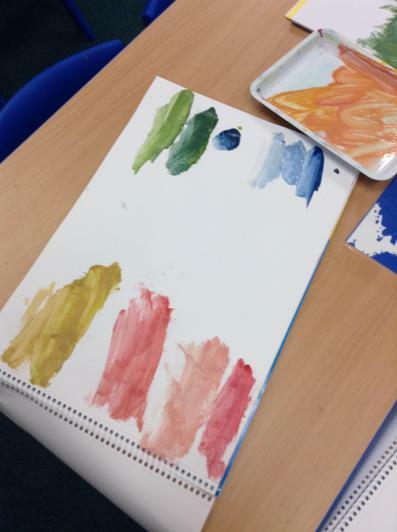 We also talked about what warm and cold colours are, and had a go at splitting the colours we could make into warm and cold colours. 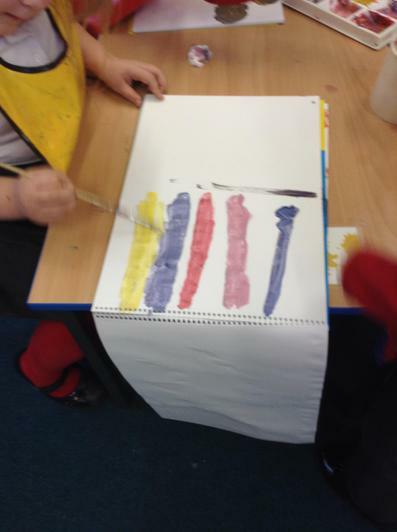 Can you remember the colour mixing song? 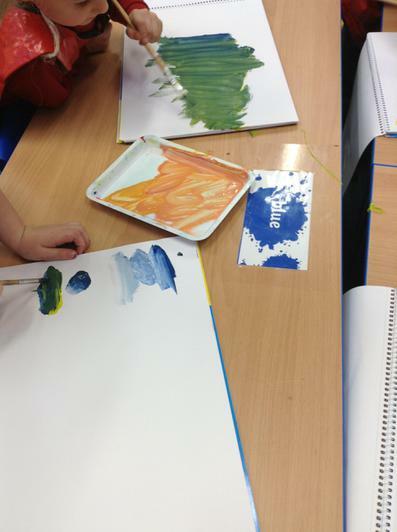 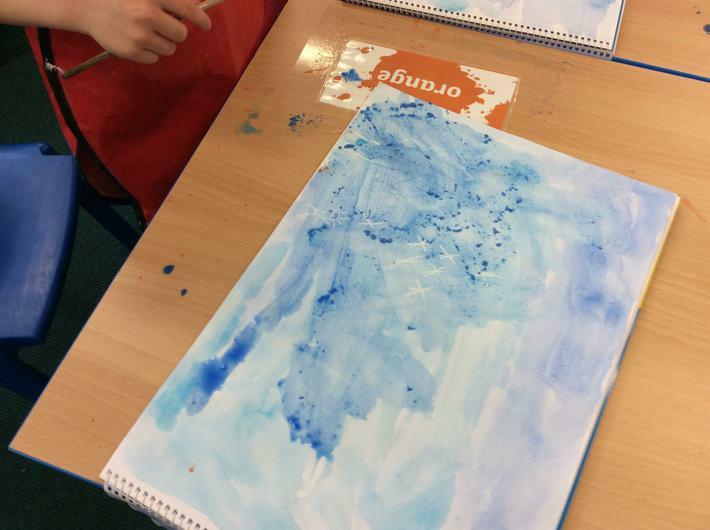 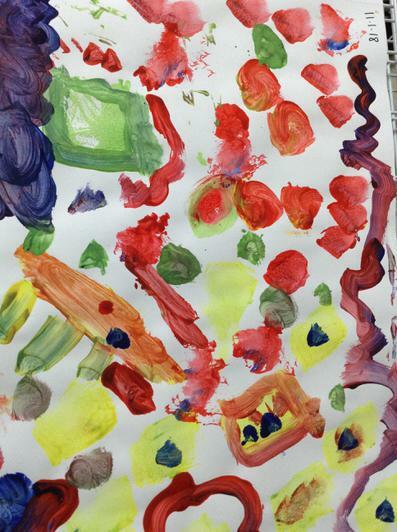 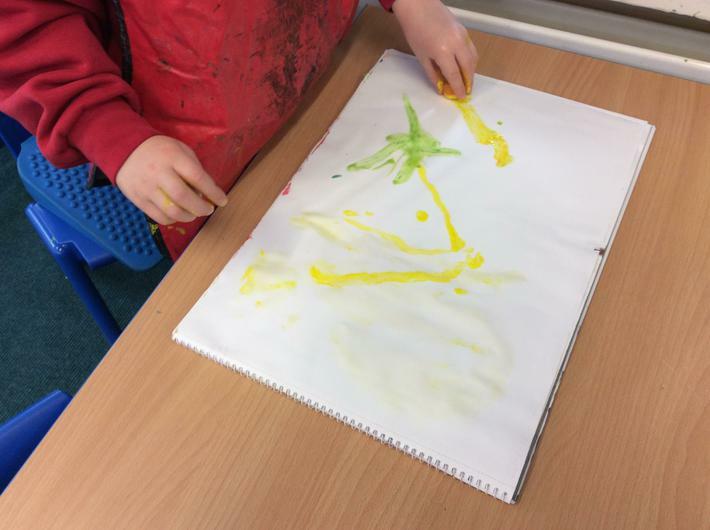 We have been experimenting with paint today in Art. 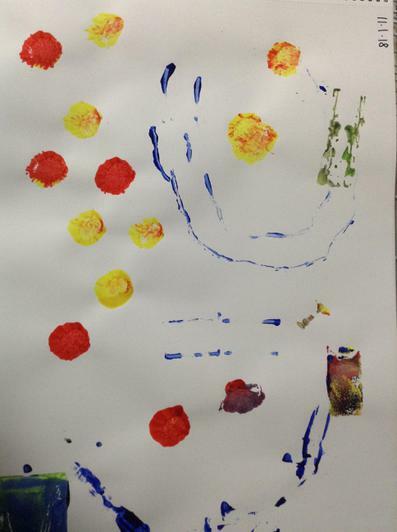 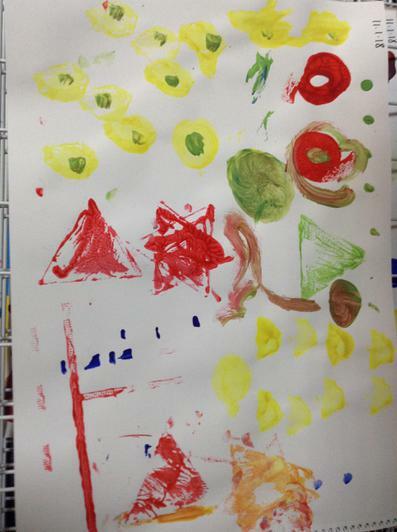 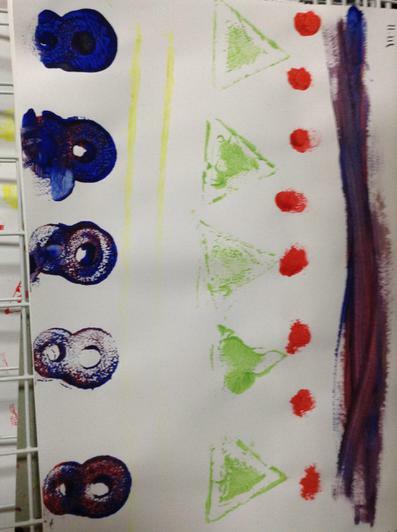 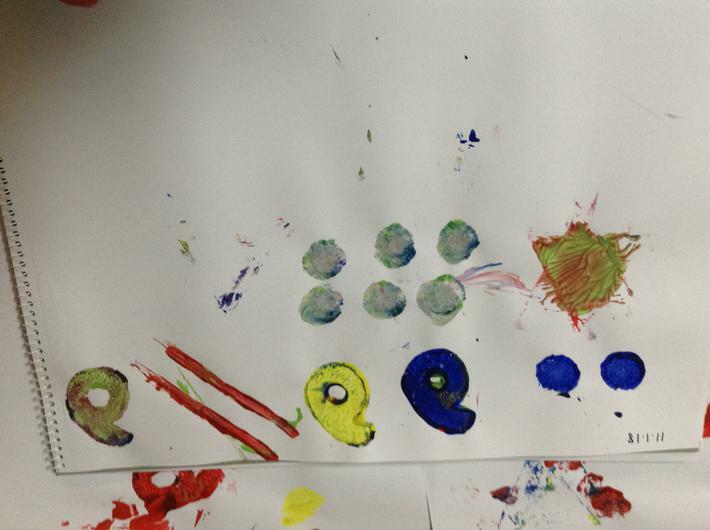 We used different objects to make different prints. 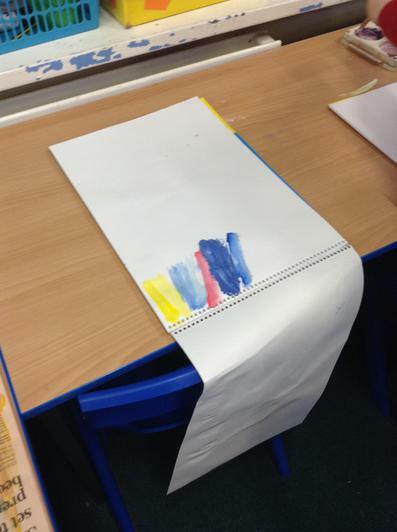 Can you explain what you used?